Will you still Visit London? 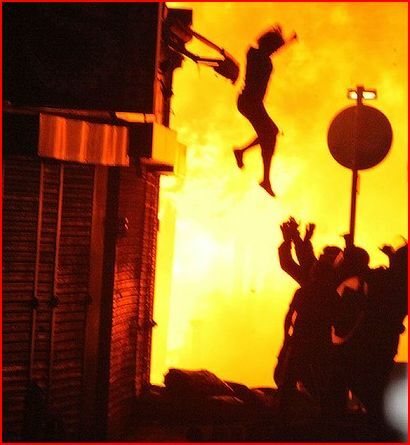 I saw on TV last night Tuesday 9 August 2011 that “London’s burning”. Back in 11 April 1981 there were riots in London, Liverpool, Leeds, Bristol, and Birmingham as well. I believe the riot was finally under controlled by 1.00am on 12 April 1981. The area was largely subdued, with no large groups — except the police. I sure hope this riot/disturbances is not going to last that long. The first thing that came to my mind last night was “social media”. It takes a lot of effort and organising to “copy cat” riots. I sincerely feel that because of the world that we lives in and with all the technology we have, especially with social media network, these time and effort to organise such an event is minimal. There are of course good things that comes out from social media technology but I believe there is always a bad side to everything/technology. I read that the police are posting photos in Flicker to ask the general public to help in their hunt for these criminals. Fancy that ! Well, I also would like to thank the “internet” for the amazing photos posted with this article. As I watch my TV, I feel for the people of Britain. Is the share market crisis not bad enough that they have to cope with these riots as well? My partner commented that you didn’t see any chaos in Japan when the earthquake disaster hit. People are courteous and lined up for almost everything thing. No looters and riots. What is wrong with the community in Britain? Are these the acts & behaviours of first world countries? I expected this sort of behaviour in places like maybe the war torn and third world countries. To see this again in Britain (since 1981) is really a darn shame. I totally agree with the PM David Cameron in his candid speech last night. He said these rioters are criminals. He said that those of age who took part in the riots and burning and looting will face serious consequences. I sincerely hope so. The place is going crazy – for anyone who had visit London in their travels, it was an incredible scene to watch, people with masked, hoods and people taking goods and hide them under their jumper and walking away. These familiar, friendly streets are lit up with torch cars/buildings and looting shops. I was talking to my neighbour last week about how great Britain is as they had just come back from a long holiday there. This sort of thing just should not happen in what almost feels like an extremely safe country to visit for holidays, job etc. It’s a fantastic place to spend a few years of your life on a working holiday and hopping off to Europe during the weekends. London is a hugely popular travel destination, one of our most visited cities, and it’s easy to see why. The city is the perfect first stop for novices, a relaxed and predictable way to ease into the travel experience and there are no language barriers. Everyone speaks English and no one has to have a culture shoc k when arriving in London. It is a place you feel that you will not be mugged and has anything gone wrong for your long awaited holiday. London still has a huge amount going for tourist:- history, culture, monuments and landmarks such as the Buckingham Palace, Harrods and other places that we have read so much whist in schools. I had visited brilliant museums there. Their art galleries cost virtually nothing to enter, acres of parkland to roam and all those places that we all envisage visiting as we travel around Britain o the Monopoly board game. But obviously, something’s changed. Things are getting more expensive and now with this event would London and its surrounding area be as popular as before? I agree that it is not a regular occurrence since the last riots was in 1981, but we have heard of the soccer/football riots etc. Maybe it is time to consider other countries such as Germany, Spain, Canada or Australia. 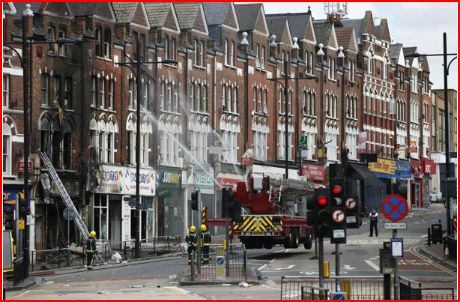 I wonder how successful the Olympic Games (coming up) will be as a result from these recent riots. Maybe the riots will not make any impact on traveller to Britain at all.